Vivien Lai has an MA Degree in Sociology from York University in Toronto. Vivien has specialized training in aging research and policy, quality improvement strategies and measurements, futurist planning and new models of care for continuing care. 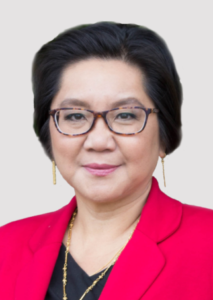 Vivien has more than forty years of experience as a senior executive and planner in a number of provinces in Canada in the areas of aging policies, health system development, supportive housing, long term care and home care. Vivien has won numerous awards in her career, including the Premier Award of Excellence for designing New Models of Continuing Care by the Premier of Alberta, the REACH Awards for Bright Ideas for the development and implementation of the Continuing Care Health Services Standards, Continuing Care Strategy, and Continuing Care Services Projection Model by Alberta Health and Wellness. She won the Women of Distinction Award by YMCA in 1999. From January 2012 to November 2015, Vivien was the Vice President of the Brenda Strafford Foundation helping the organization to conduct strategic planning activities. As from 2016, Vivien has been functioning as a Health Care Consultant helping organizations, and professional organizations to do futuristic planning in health and social services to prepare for the aging of the population. I hope to contribute my expertise and knowledge to AAG activities to assist it to be an effective knowledge organization promoting the quality of life of Alberta seniors. Grace’s background includes over 30 years of experience in seniors’ health services; continuing care and rehabilitation. Grace joined the Glenrose Rehabilitation Hospital in 2001. This portfolio includes tertiary inpatient and ambulatory geriatric assessment & rehabilitation, cognitive behavioural and geriatric psychiatry. Grace is a Certified Health Executive of the Canadian College of Health Leaders. Grace has strong relationships with other sectors, including those along the healthcare continuum, City of Edmonton senior initiatives and senior serving organizations. Some of the initiatives that Grace has been involved in include accessible housing guidelines and the importance of activity and early mobilization to prevent functional decline. The opportunity to be involved in the Alberta Association on Gerontology is an excellent avenue to influence future services for older adults in the province. Grace hopes that her years of experience in seniors’ services will be an asset to the discussions in shaping the best possible service and support context for older adults to live the quality years they desire. In 1996, Renate partnered with a local private developer, Ken Ferchoff. They envisioned the creation of quality affordable housing for senior citizens. Together, they brought vision to reality with the construction of Lifestyle Options Whitemud. Lifestyle Options expanded to 3 other locations including: Terra Losa, Riverbend and Leduc. Lifestyle Options plans more high quality senior housing locations throughout Edmonton and Alberta. Since 1996, Renate has been the General Manager of Lifestyle Options Retirement Communities. These communities specialize in providing person-centred care to all residents. In 2015, Renate launched the ‘Butterfly Approach’ to Dementia Care from Dementia Care Matters at two Lifestyle Options sites. She continues to passionately work advocating for people living with dementia to improve their quality of life. Sandra P. Hirst RN, PhD, GNC(C) is an Associate Professor in the Faculty of Nursing. 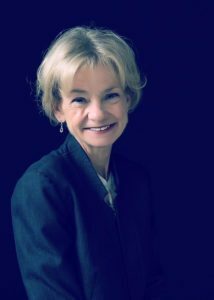 She has held a number of leadership positions in gerontology including: president of the Canadian Gerontological Nursing Association; president of the Canadian Association on Gerontology, and president of the Alberta Association of Gerontology. Sandra has completed a three year appointment from the Prime Minister to sit on the National Seniors Council. She currently sits on the Board of the IFA. Her areas of research and related scholarship focus on abuse and neglect of older adults, and the experiences of older adults who reside in long term care facilities. Sandra was appointed Director of the Brenda Strafford Centre for Excellence in Gerontological Nursing, at the University of Calgary, in the late summer of 2008 for a five year term. In 2009, Sandra was awarded the Life time Achievement Award from the College and Association of Registered Nurses of Alberta, and in 2011 received an Honourary Life membership from the Canadian Gerontological Nursing Association for her contributions to practice. In 2012, she received the Jeanne Mance award from the Canadian Nurses Association, the highest honour that a registered nurse can receive from her peers. Dana is a Registered Nurse and has worked in Continuing Care for over 20 years. Her current role is Executive Director, Clinical Operations at Bethany Care Society. Dana’s role is to oversee the daily operations of the continuing care sites to ensure residents receive high quality, person-centred care in a comfortable, home-like environment. Previous leadership roles with Bethany have included Care Services Manager, Director of Care and Site Administrator. Dana has been a Member at Large on the AAG Provincial Board since 2016. 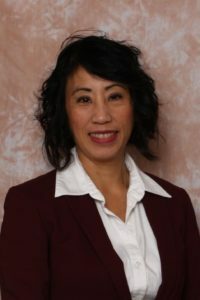 She joined the board from a desire to connect with like-minded individuals who are passionate about improving quality of life for seniors. Dana hopes her operational experience in continuing care can assist AAG to bring about greater awareness of the issues affecting Alberta seniors and positively influence decision-making at the policy level. Jennifer is a registered nurse with a Masters in Nursing and over 25 years of experience in a variety of health settings, leadership, research and education. She is dedicated to excellence and impacting patient outcomes by positively influencing health and community studies professions. Currently, she is an Associate Dean with the Faculty of Health and Community Studies at NorQuest College. The graduates from these programs work on the front line and they make significant contributions to the health of seniors. As Associate Dean, Jennifer provides leadership for a variety of programs, some of which are among the largest in the country. She oversees curriculum, new program development, quality assurance, and program approval for over 12 programs. She is a driving force for innovation, simulation, and ensuring programs are workforce relevant. Jennifer is an idea person, she sees opportunities where other people don’t. Jennifer joined the Alberta Association of Gerontology because she wants to make a positive impact in the lives of seniors and influence the education of frontline works so they have the knowledge, skills and competencies to provide quality care and support. Dr. Susan Slaughter is an Associate Professor in the Faculty of Nursing at the University of Alberta. She has a Bachelor’s degree in Life Science from Queen’s University, a Master’s degree in Nursing from McGill University, a PhD degree in Community Health Sciences from the University of Calgary, and a postdoctoral fellowship in Knowledge Translation from the University of Alberta. Susan Slaughter has extensive experience working as a nursing specialist in geriatric assessment and rehabilitation and is a leader in the care of the elderly. She has experience leading five funded longitudinal research studies involving people with dementia who live in long-term care facilities. Susan uses various knowledge translation approaches to enhance the relevance of her research for the care of older adults. She has published in journals specializing in gerontological nursing, rehabilitation, long-term care, geriatrics and gerontology. She has also presented scientific papers at local, national and international conferences. 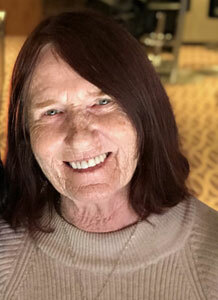 Sharon Anderson is a PhD Candidate supervised by Dr. Norah Keating in the Research on Aging, Policies and Practice in the Department of Human Ecology at the University of Alberta. Sharon completed her Master of Science in Health Promotion at the University of Alberta and Masters of Education in Community Rehabilitation and Disability Studies at the University of Calgary. Her dissertation is focused on what happens to the marital relationship in the context of care after a partner’s stroke. 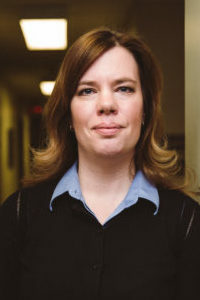 Prior to her PhD studies, Sharon worked as a Dental Hygienist in British Columbia and Ottawa and a Research Associate in the Social Support Research Program at the University of Alberta. I am an occupational therapist with experience in rehabilitation assessments and intervention with older adults living with dementia. I am a professor and chair of the Department of Occupational Therapy, Faculty of Rehabilitation Medicine, at the University of Alberta. My research examines user acceptance and adoption of technologies that support activities of daily living and quality of life in the community and across the continuum of care. As a member on the AAG board I want to share my expertise as a health professional with a passion for education and research. I plan to use my professional connections to leverage AAG goals in order to advance evidence-based services for older adults and their care partners in Alberta. Ron has spent 30 years consulting in areas related to management and board development; working for several technology-based companies, teaching anatomy and physiology, and consulting to numerous health and seniors’ organizations. The focus of his consulting has been on non-profit board development, policies and strategic planning. the development of teams and people so that each are as successful as they can be in their assigned roles. Some of Ron’s experience includes: long-term care organizations, seniors housing bodies and municipal governments. Ron is married, has 3 sons and passes his spare time hunting – with his camera for great nature photos, of course! Jesse is a Policy Advisor for the Ministry of Health’s Continuing Care Branch, working on the Quality Improvement team. In this role, Jesse is involved with a number of different initiatives related to dementia and continuing care in Alberta. Prior to this, Jesse spent some time interning with a local Alzheimer Society in Windsor, Ontario. He holds a Bachelor and a Master of Arts in Political Science from the University of Windsor.